A New Year picture I did for a good friend. 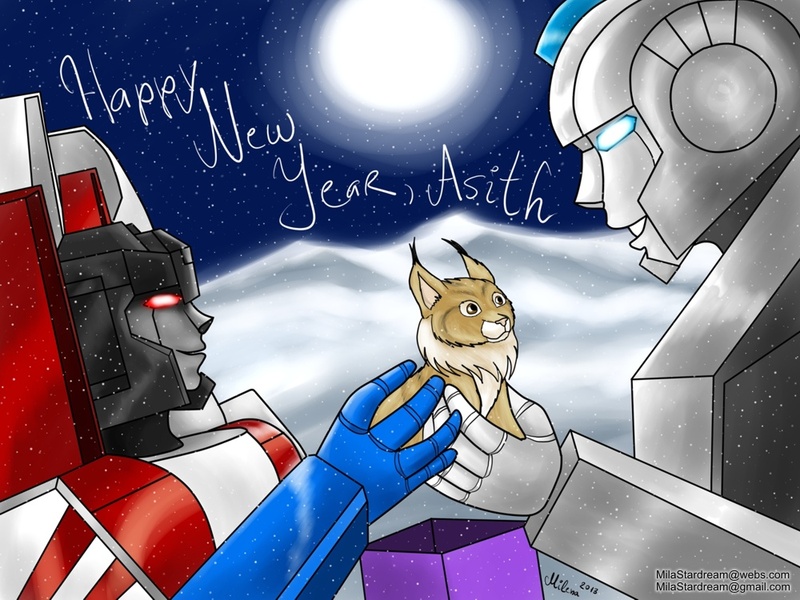 We used to roleplay as Starscream and Starfire who were awesome friends. I gave him a plush lynx in real life, hence the picture. This was done at the end of 2013.